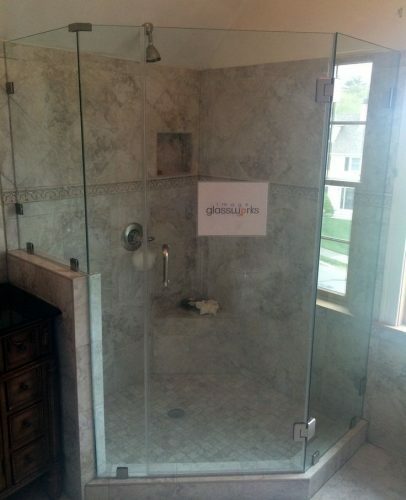 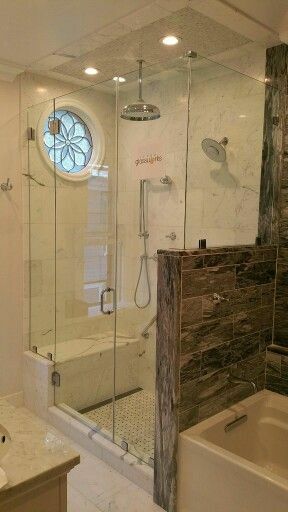 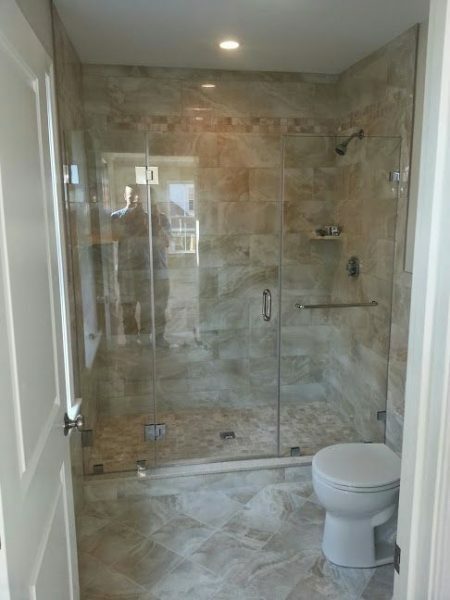 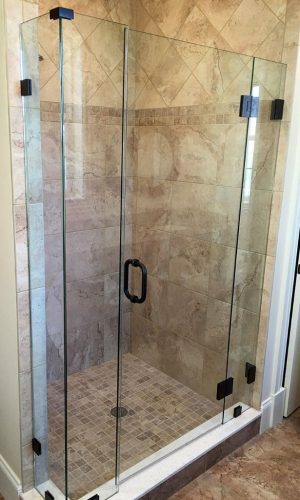 Frameless swinging shower doors are one of the most popular options that people use in their bathrooms. 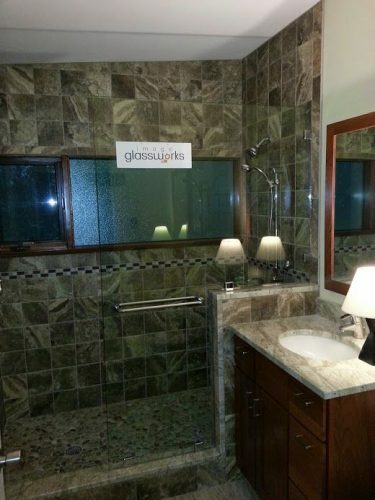 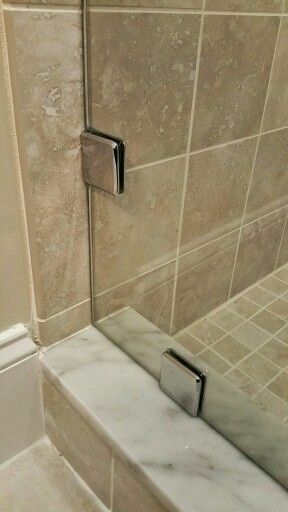 They make for an amazing addition to any newly constructed or remodeled bathroom. 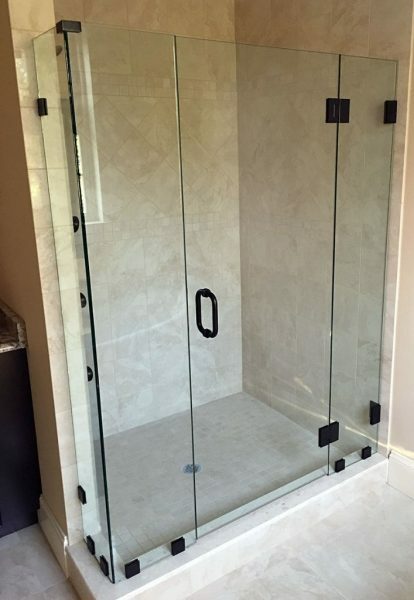 Frameless doors can be custom fabricated to fit into almost any opening so long as the hardware remains within the manufacturer’s specifications. 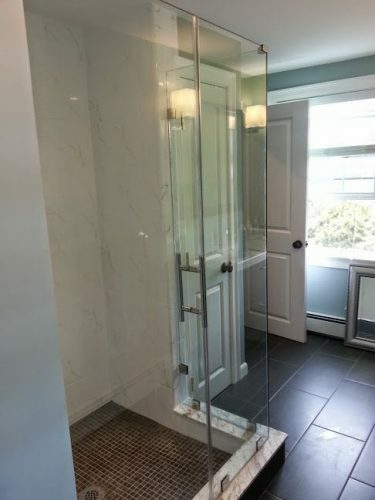 Swinging doors offer a beautiful look at a very affordable price point. 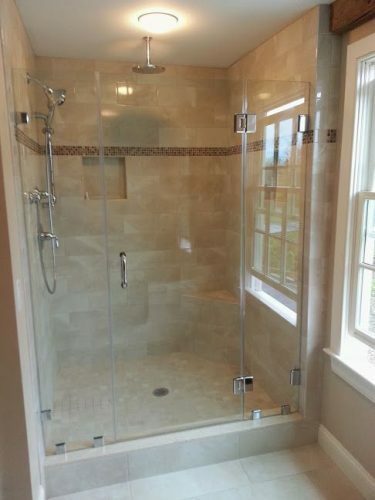 If maintained properly they can stay looking brand new for a very long time! Below are some photos of previous jobs we have completed using swinging doors. 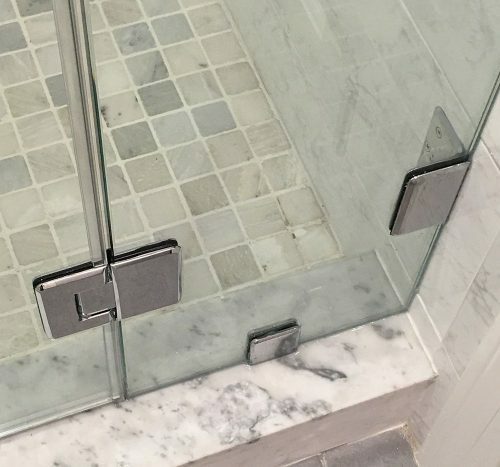 You can also take a look at our Instagram page for some of our latest work! 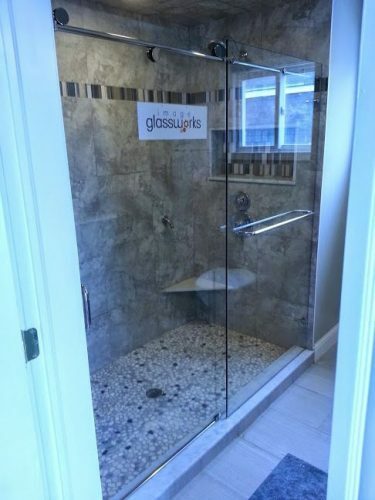 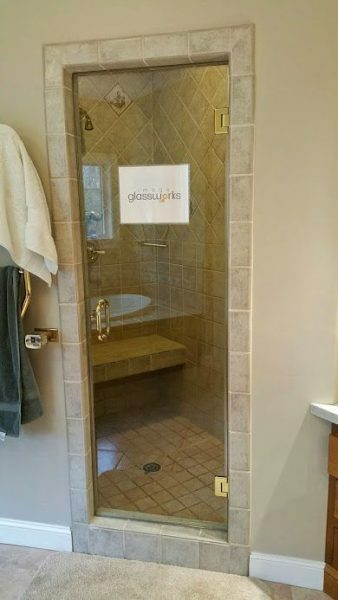 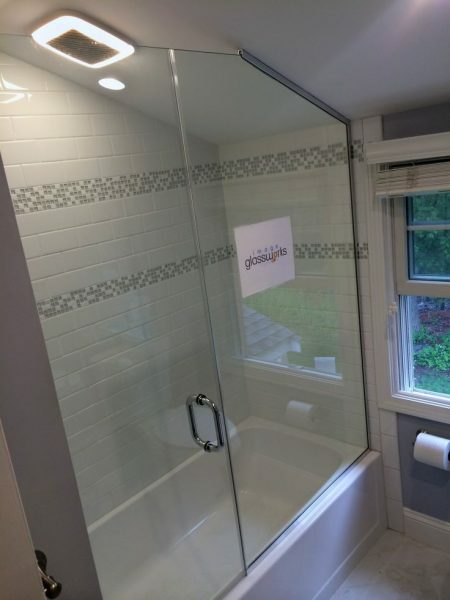 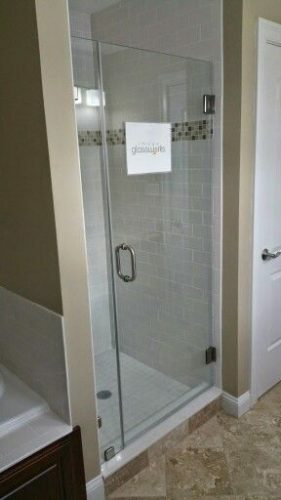 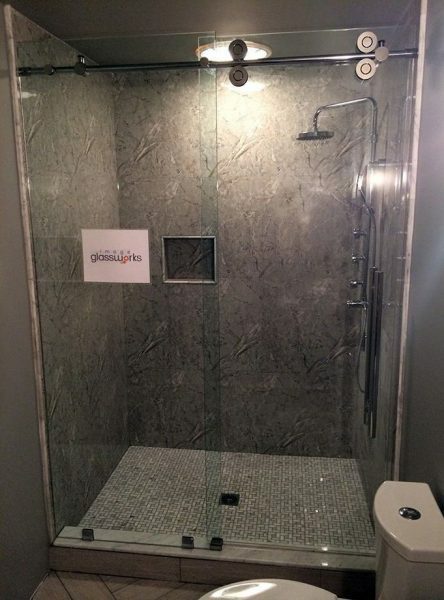 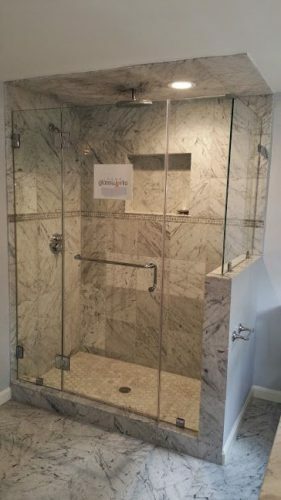 The glass options available on frameless shower doors is Low-iron (ultra-clear) and ShowerGuard by Guardian (surface protection). 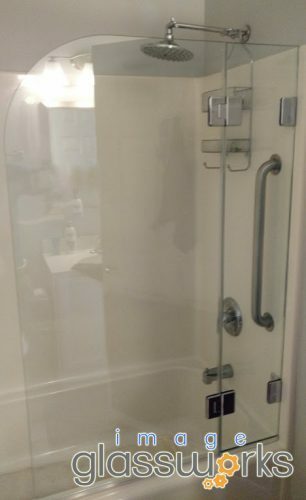 You can do either of the two, or both. Take a look at this informative page if you are considering a configuration where the door is hinged from another piece of glass using a support panel. 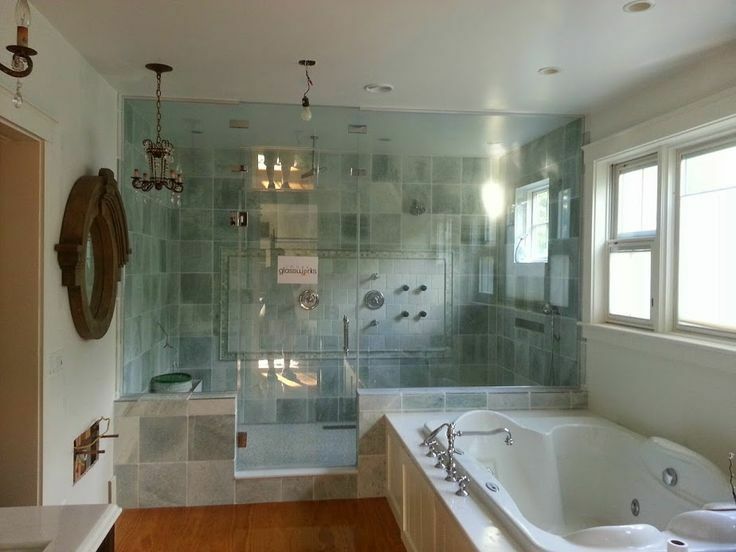 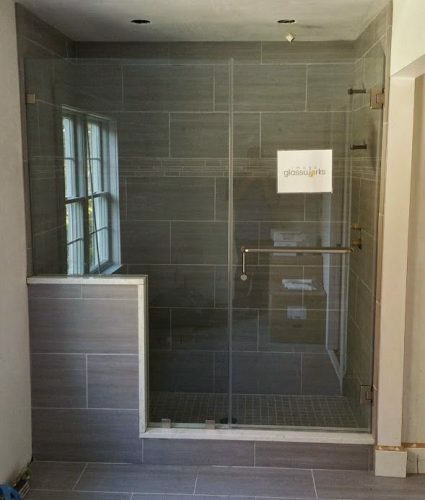 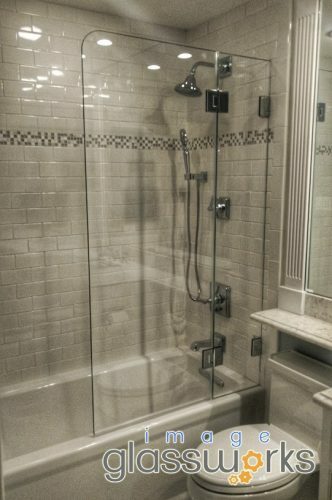 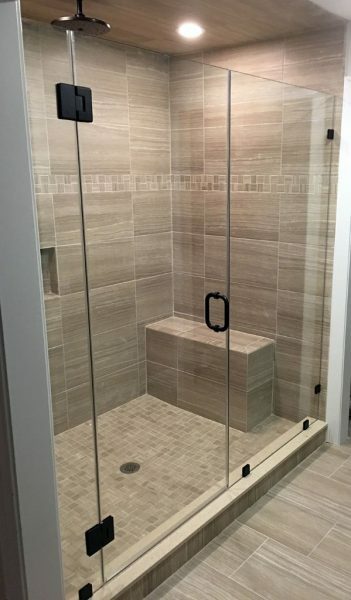 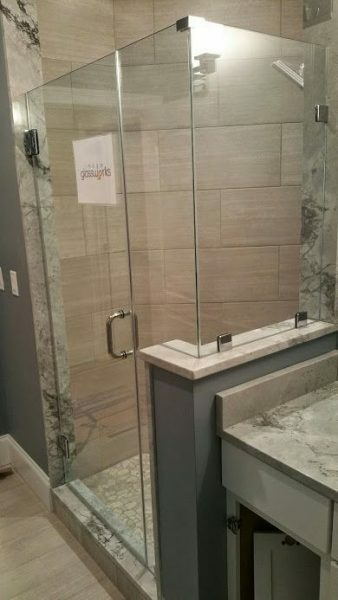 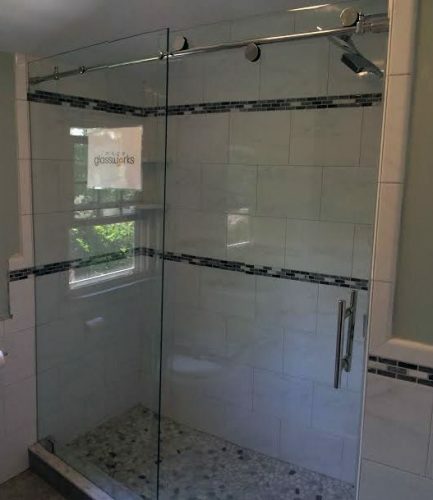 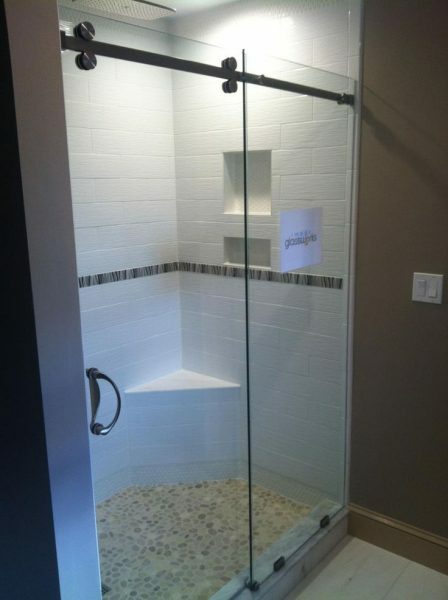 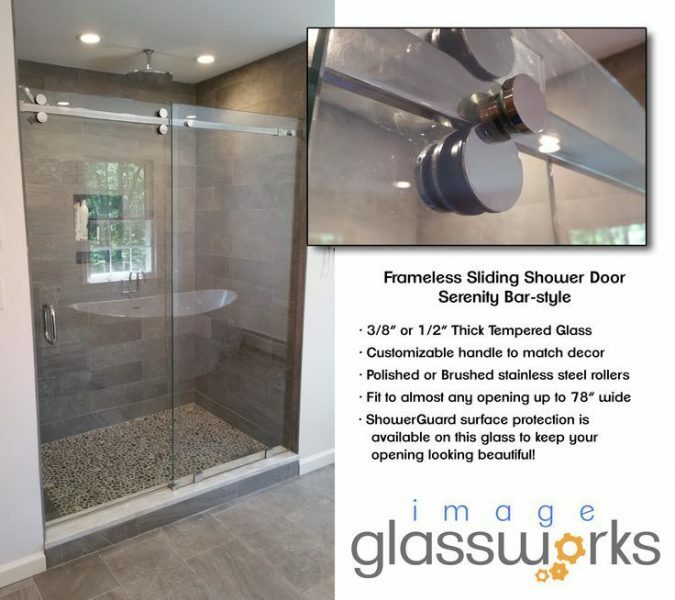 Frameless sliding shower doors offer a tremendous amount of versatility. For instance sometimes the configuration of a bathroom cannot allow a swinging shower door, where it may hit the toilet or the vanity. 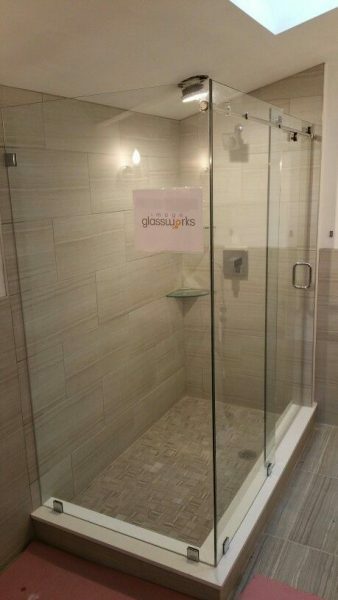 This is where a frameless sliding door system is going to shine. 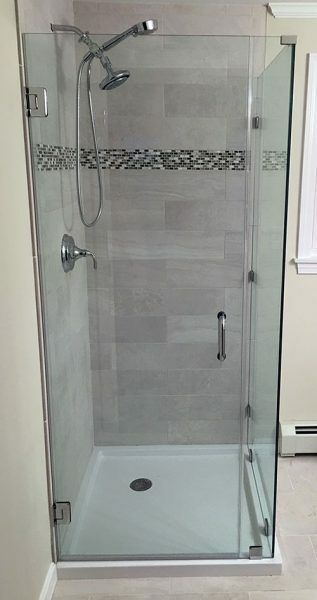 The system we use is the CRL Serenity Deluxe series, all of the hardware is manufacturer in stainless steel so it will hold up to a harsh shower environment for many years. Replacement parts are also readily available should something need to be repaired or replaced down the road. 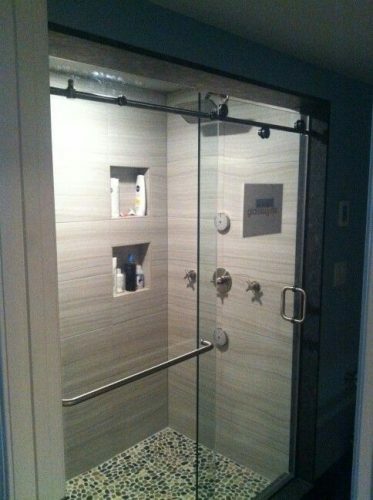 If there is any drawback of the sliding system it would have to be the price point. They are beautiful, functional, and will continue to last for many years, however their price point is usually somewhere around 30-40% higher than that of a swinging frameless door. 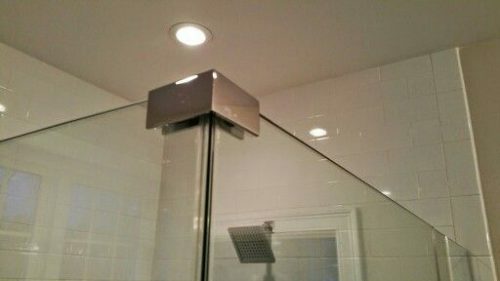 Splash panels are a wonderful way to keep a very minimalistic look in the bathroom. 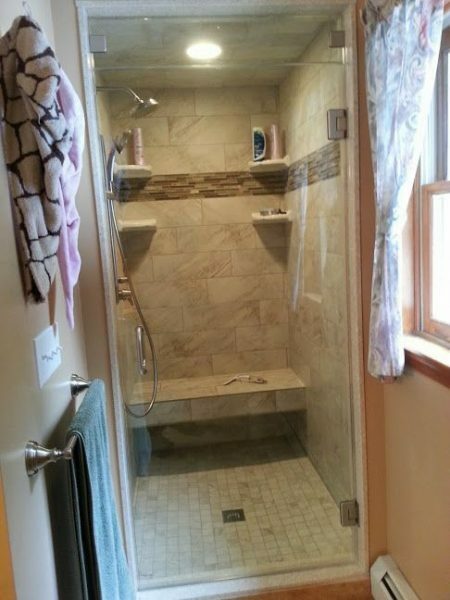 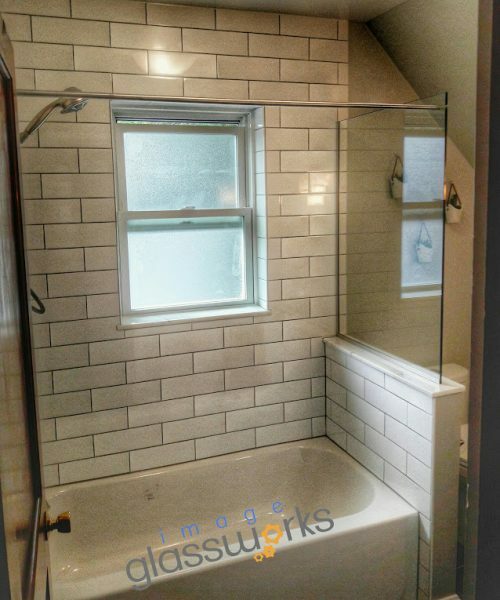 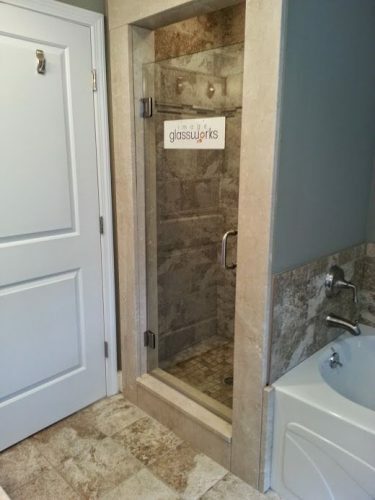 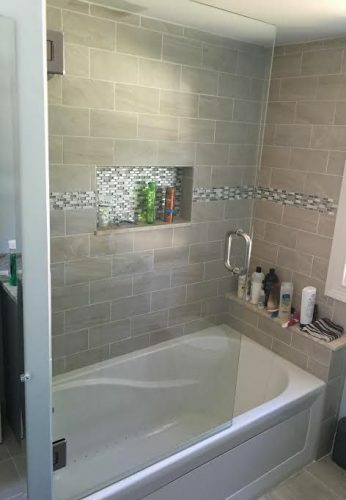 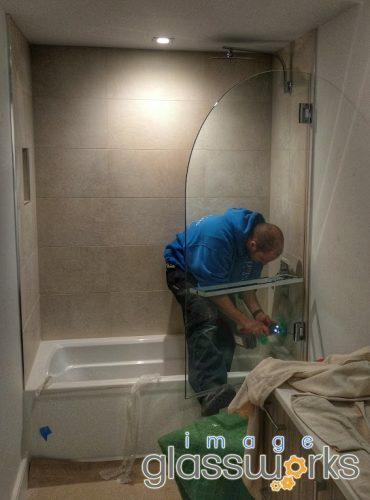 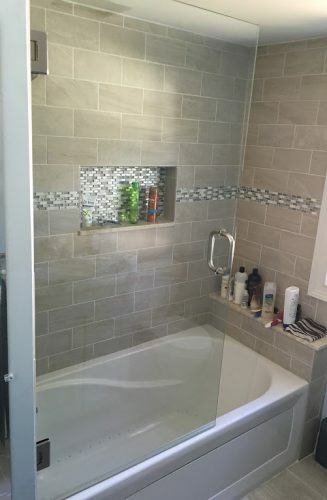 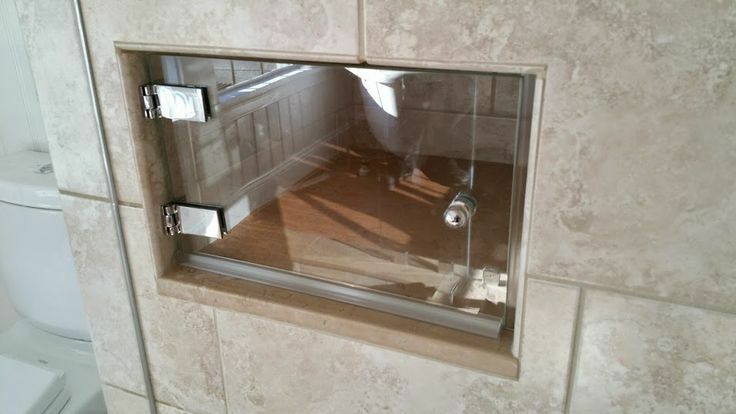 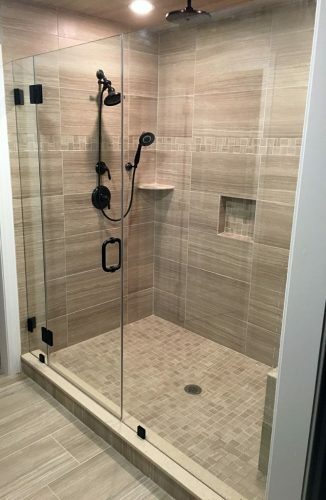 Normally we advise our customers to only really consider this as an option for a shower or tub that will not be getting used very often (a secondary or guest bathroom). 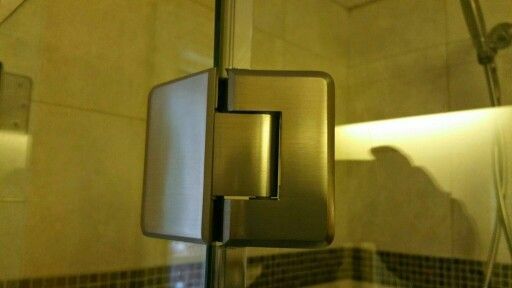 The reason for this is while they look beautiful, there is a sacrifice in function. 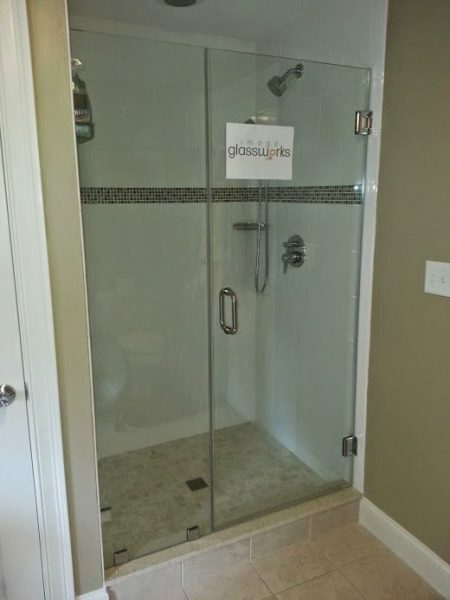 Meaning that some water almost always gets past the glass and onto the floor. 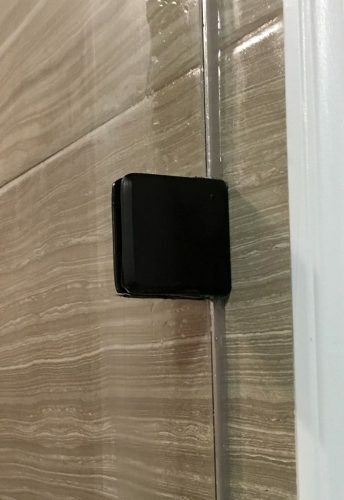 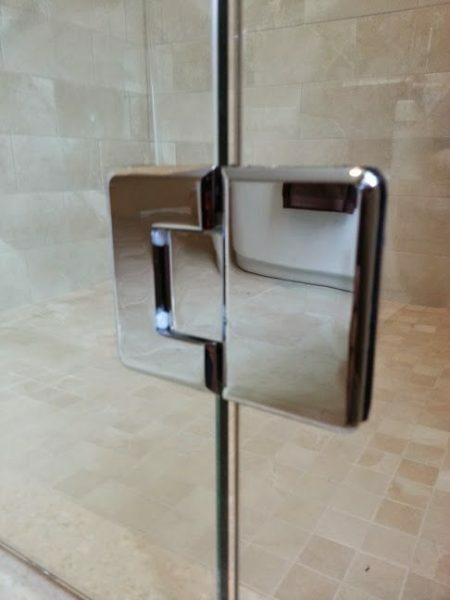 Below are some close-up photos of the hardware we’ve installed over the years. 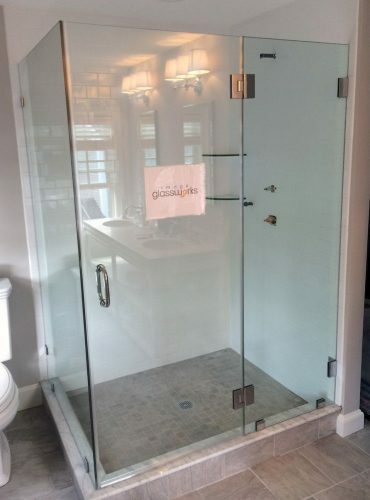 Our strict policy is that we only use C.R. 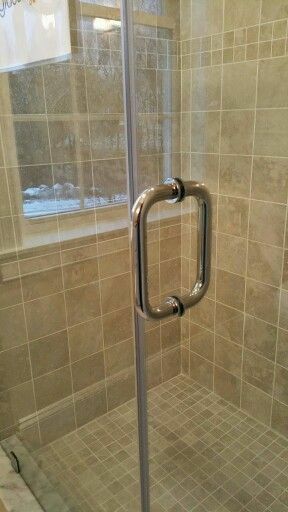 Laurence Frameless Shower Door hardware. 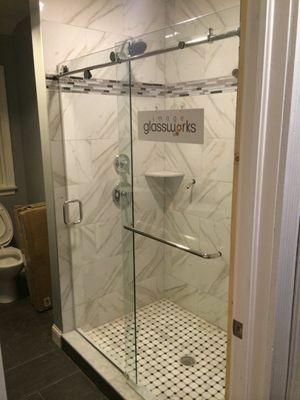 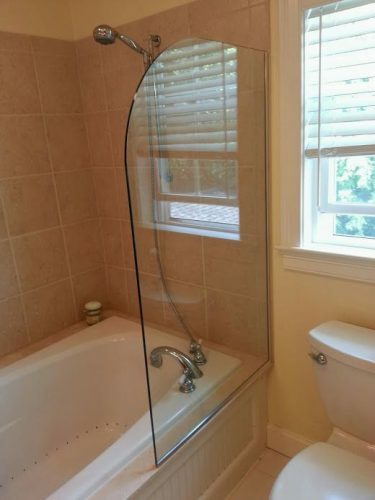 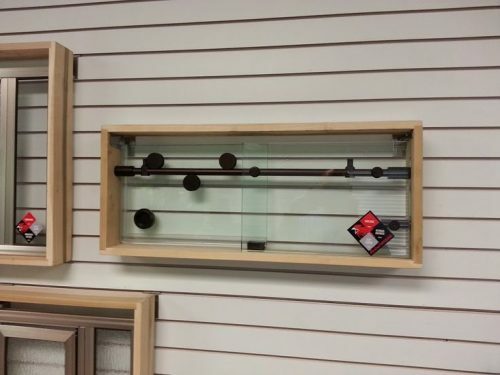 There is always going to be a less expensive option out there, we do not believe in sacrificing the safety or structure of the hardware holding the glass in order to save a few dollars. 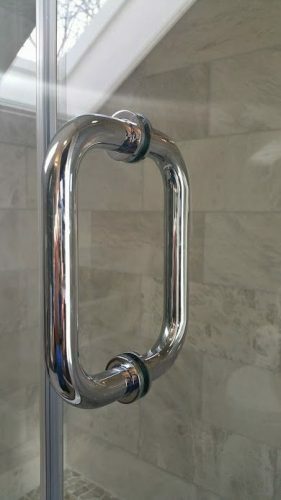 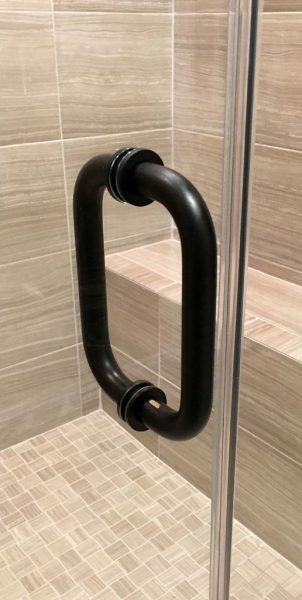 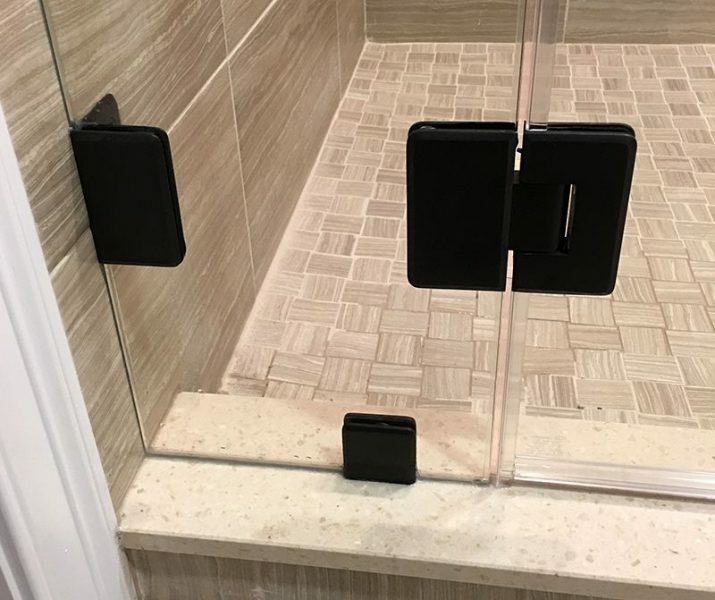 The shower door hardware manufactured from CRL is constructed of solid brass, and then coated to the desired finish (chrome, brushed nickel, oil rubbed bronze, etc.) 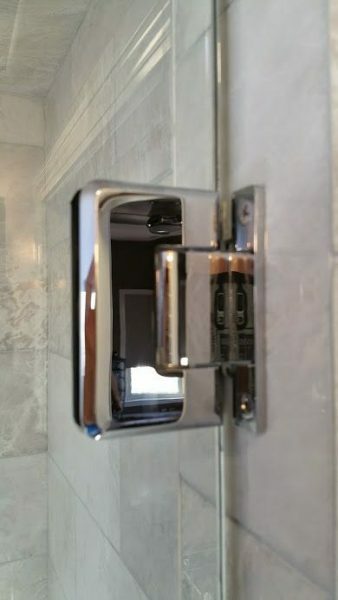 The solid brass construction assures that the hardware is not susceptible to rust or corrosion. 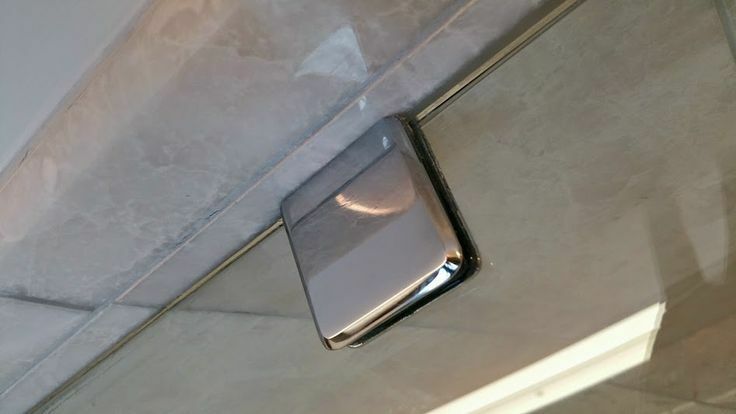 CRL tests how their hardware is to be used and supplies us with very specific guidelines on the limitations of the hardware. 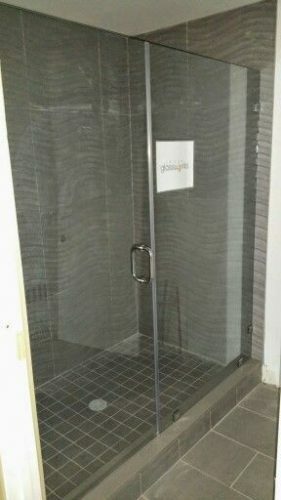 They also have their warranty posted on their website which we also include in our estimates.